Introducing a new podcast from the team behind Welcome to Night Vale and Alice Isn't Dead. 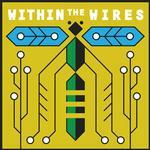 Set within an alternate reality, Within the Wires tells stories in the guise of instructional audio programs. Each season guides the listener through a different audio experience from this other universe, ushering listeners through a curriculum which unravels to reveal a much deeper and more personal story.